Bellies are the Second Brain can Sabotage or Support Overall Health. We’ve all heard that “we are what we eat.” But did you know that your second brain can use what you eat to tell your body what long-term or chronic diseases and conditions you may suffer from? I’ve always understood the concept of eating healthy whenever possible, but was really surprised to hear how much further the conversation needs to go. Eating good food is only a part of the solution for gut health. · And, mental health problems such as anxiety and depression. Thanks to growing acceptance about the gut’s role in the body’s function, important and relevant research is now being conducted that offers a lot of promise—and even more than that—has already offered relief and eradication of certain conditions. In a world where health problems are on the rise and there is more openness to solutions, could the answer have been inside of us the entire time? Maybe the second brain has been running the show—or more of it—than we previously recognized. Personally, I find great comfort in knowing that breakthrough innovations for all areas of health could happen by focusing on gut health first. Because, if microbiome imbalances are the problem, that would mean that many of these diseases are the consequence of that. This is worth exploring! What Happens in the Microbiome? When most of us think of bacteria and germs, we think of prevention. Seldom would the thought that these things may be good for us arise, any more than we realize we may have millions of bacteria living inside of us—and that’s just in the gut. In fact, we have more bacteria cells than human cells in our body. It is so hard to imagine that, but it is true. These bacteria are a part of us from the time we are born, starting right at the delivery, itself. The bacterium continues to accumulate, and for the most part, it is harmless; however, if enough of the good bacteria are not promoted the troubles can start. 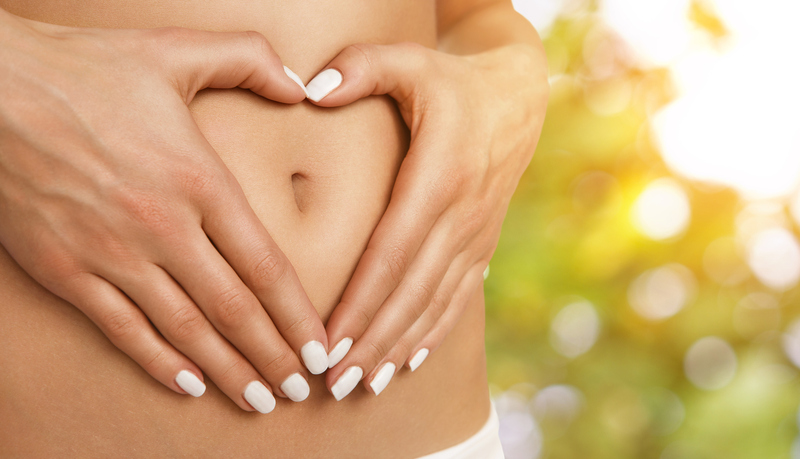 The gut health can suddenly become compromised and the good bacteria no longer works for us, which is what supports our immune system, mental health, digestive health, and also contributes to inflammation. Everything grows more complicated when we add in the foods we eat, the lifestyle we live, and also the medications we take. Yes, medications are necessary for some things, but they can also cause chaos in our microbiome. A prime example of this is taking antibiotics—one of the most commonly prescribed medications. Yes, they can help to eradicate bad microbes, but they also take out the good ones. So then there’s a trickle-down effect; and if you don’t counteract that loss of good microbes with probiotics, you’ll become more susceptible to more frequent infections and other diseases. It’s also important to note the link between mental health and gut health. Most of the body’s serotonin is created in the gut and the levels of production go down when the gut is imbalanced. Serotonin’s role is to act as a neurotransmitter in the human body and it assists in regulating mood and social behavior, appetite and digestion, sleep, memory, and also sexual desire and function. Many of those health concerns are big topics that you frequently hear about today, making the gut/serotonin connection highly relevant. This leaves the big question: how can I learn the condition of my microbiome? I’ve been through the process and found it to be highly educational—and explained in a way that was helpful for me to take the best actions to give my gut the glory it deserves! Thanks to crowdsourcing platforms like RedCrow, innovative healthcare and emerging medical companies are linked to the funding they need for research and development. Ixcela is one of Redcrow’s healthcare start-ups that is trailblazing with its focus on reducing chronic disease through science based management of gut health and function resulting in its simple over-the-counter at-home test and internal wellness program. Ixcela sponsored Harvesting Happiness as a popular health and wellness influencer to objectively review its product. I had the opportunity to talk with its co-founder, Dr. Erika Ebbel Angle on the podcast, and to also take the test (a simple pin prick to get the blood sample) they developed to determine the health of the microbiome. The results—despite my efforts to practice healthy life habits, that alone was not enough. As it turns out, it seldom is for most people. Everyone could use a boost. My results showed that I was low on energy efficiency, which means my body is not being fueled optimally by the foods I eat. This was an interesting revelation because there were hints such as fatigue. I’ve made adjustments to my diet to include foods and supplements to support my body. If you’re like me, you have a lot to do and you want your energy to fuel the distance—each and every day. For all of us, having the proper information to start learning effective ways to optimize our gut health and treat our second brain with the reverence it deserves is important. We’re all individual in this sense, which means that solutions are not cookie cutter; and therefore must be customized to meet our needs. I find great relief in knowing that customized solutions that help me be at my best are a possible—and affordable—solution for my health. Additionally, if taking medications (both prescription and over-the-counter) can be avoided and I can be healthier, count me in. 1. Determine where your imbalance lies in your microbiome through testing that is specifically focused on gut health. 2. Be sure to have a diet that consists of natural and good foods, is balanced, and is low-to-zero in processed foods. The bonus: the right foods can help balance your microbiome health…but diet alone seldom is enough. 3. Invest in yourself by taking a supplement that addresses the imbalances in your system. There is no need to take extra nutrients that your body doesn’t need or will not absorb or five different supplements if one effective one is available. The answers that are coming from conversations such as what exists today about gut health are innovative and exciting new headlines. Potential solutions for the issues that may concern you about your physical and/or mental health already exist or on the cusp of being revealed. Let’s get going and start to use the beautiful brain in our head to start taking better care of our second brain. They need to work together for optimal health and wellness from the inside out!